SAP Master Data Governance (MDG) is a master data management solution, providing out-of-the-box, domain-specific master data governance to centrally create, change, and distribute, or to consolidate master data across the complete enterprise system landscape. 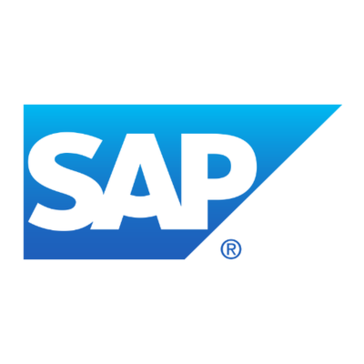 Work for SAP Master Data Governance (MDG)? Learning about SAP Master Data Governance (MDG)? "Master Data Governance for SAP"
What Data Governance solution do you use? MDG module is helping us in improving our data governance. There is nothing much to dislike but it can be integrated with fiori apps. "SAP is simple to use and dependable." Access to transactions to view where possible errors are coming from. "Good Product for master data"
It helps streamline the process. We are currently using it for Material and this has reduced the number of steps and eased the governance process. setting up a custom data model takes some time. We are using it for improving our data governance and also to get all the non-ERP data management systems into ERP. MDG is good for Master date governance and management. Our business has a lot of challenges with the default product. That means a two year project, twisting the setting ad functionings. Lots of customizing needed. Expensive to implement. Duplicate data, identical products with different names. "Good governance tool for Master data"
Data replication complexity and expert analyst requirement. * We monitor all SAP Master Data Governance (MDG) reviews to prevent fraudulent reviews and keep review quality high. We do not post reviews by company employees or direct competitors. Validated reviews require the user to submit a screenshot of the product containing their user ID, in order to verify a user is an actual user of the product. Hi there! Are you looking to implement a solution like SAP Master Data Governance (MDG)?